Are you beyond excited to meet up with all your favorite relatives and feast on Grandma's mouthwatering sweet potato pie? Are you totally dreading having to sit across from your ignorant cousins and hold your tongue at their political comments? No matter how you're feeling about Thanksgiving, I'm totally with you. Yes, who in the world doesn't love a belly full of carbs and a room full of love? But also, let's be honest: The pressure to have a perfect Thanksgiving is real, and oftentimes, that perfection is unattainable. Leo, Libra, and Sagittarius. Make sure to check whether or not these signs fall under your sun or rising. Truth is, the cosmic energy is gonna be wildly unpredictable this time around. With Mercury in retrograde and a full moon in Gemini taking place right when Thanksgiving and Black Friday both hit, there's no doubt this year's holidays will be one for the books. However, a little drama never hurt anyone, and to be quite frank, it's usually the perfect twist of excitement that we all need. Get in the holiday spirit, Leo, because the sun will be in your fifth house of fun and pleasure during Thanksgiving. Feel free to start a dance party in the kitchen, form a drinking game based on your family's idiosyncrasies, and be the burst of creative energy that all Thanksgivings need. Right now, you're in the middle of getting to know your inner-child again. You remember how fun Thanksgiving was when you were a kid? How much seeing your favorite cousins and creating mischief meant to you? When Thanksgiving comes around, it's time to bring that kid back to life. When things are getting tense, it's you who can make things fun again. When things get stressful, remind everyone what the holidays are truly about. Be your family's artistic director. Don't you just drool at the thought of all those home-cooked delicacies that everyone brings to Thanksgiving? What about the chance to wear your favorite dinner dress and do your best autumn look? One thing I think we can all agree on is that Thanksgiving is a damn good excuse for some luxury and decadence. Do you want to know who will be absorbing all the goodness? You, my Libra friend. After all, Venus — planet of love, sensuality, affection, and romance — will be in your first house of the self. No one will be enjoying the food as much of you and they certainly won't look as good as you. It's time to strut into the dining room like the star you are and radiate all the good vibes on Thanksgiving. 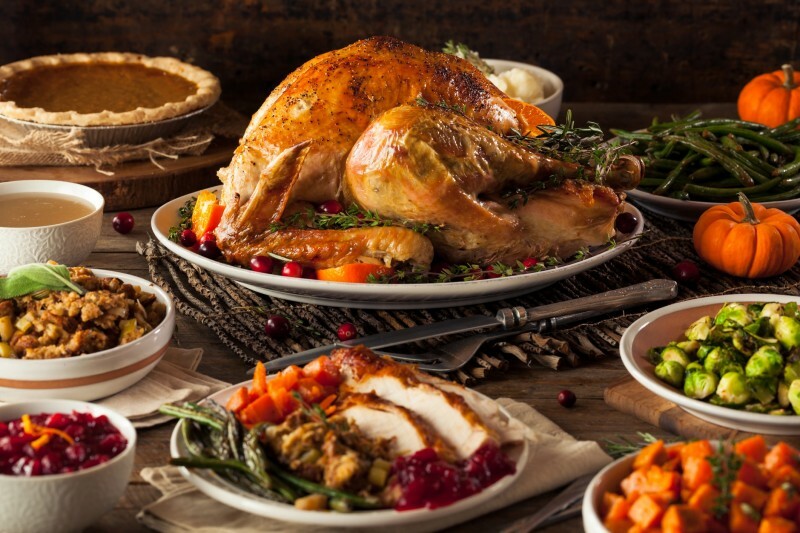 It's no secret that Thanksgiving takes place during Sagittarius season. You know who wears the crown during Sagittarius season? Duh, you do. You have the luck of being in the midst of your solar return during Thanksgiving, and not only will everyone be noticing just how brightly you shine with the sun's energy, but everyone will have a deeper understanding of the person you are. When the sun is in Sagittarius, we're all acting a little Sagittarius. The universe is exactly how you like it, so don't you dare hold your personality back on Thanksgiving (not like you ever do). With all your loved ones surrounding you and a table full of delicious food, make sure you truly take a moment to appreciate all you have. You've got the entire world.